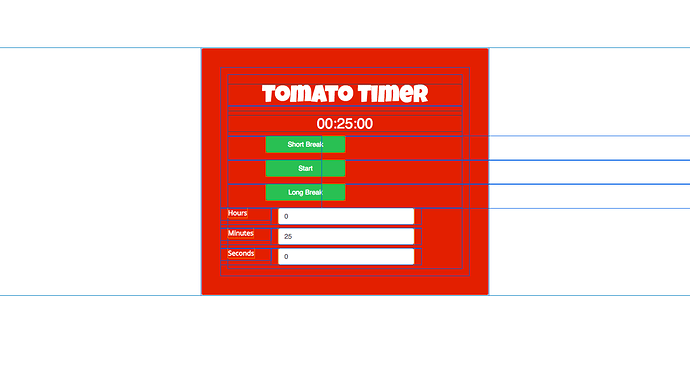 I’m really struggling to get my pomodoro clock buttons centred, they are located in rows, within a div with class “text-center” but for some reason they just don’t want to budge! The buttons are elements themselves, not text. So you might want to add the center styling to your button elements.